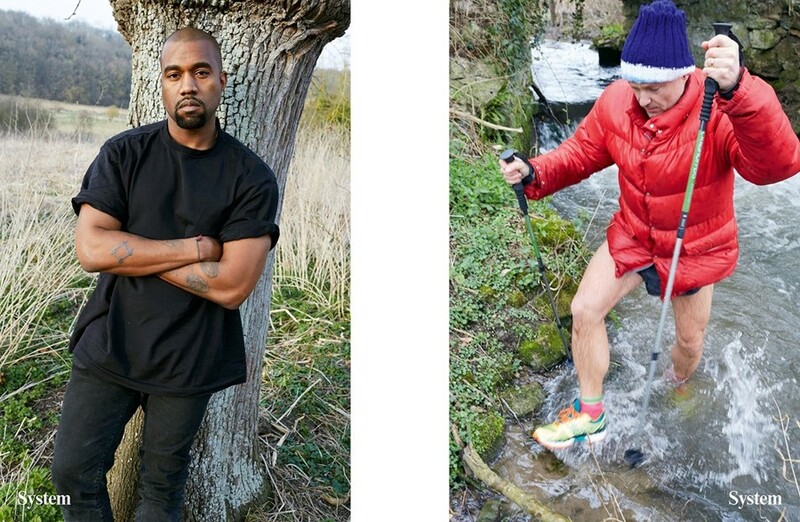 In what was arguably one of the most bizarre pop culture moments of 2015, Juergen Teller, Kim Kardashian and Kanye West teamed up to create a photobook with the appropriate but perhaps slightly prosaic title of Kanye, Juergen & Kim. The images were taken in the grounds at the Château d’Ambleville in France, and as you may remember, up against a large pile of rubble lying within in it. Up until now, Teller’s account of the shoot hasn’t been heard, but in a new interview with Tim Blanks for Business of Fashion the photographer tells all. Upon arriving at the French Renaissance style château, Teller discovered that the location wasn’t quite right for the shoot – despite its beauty. “But when we got there I suddenly thought this beautiful French garden looked too much like their wedding in Italy. It didn’t feel quite right,” he says. “And I’m seeing all this countryside around and I’m thinking, ‘I just want to do it there.’” That, in case you were wondering, was why Kardashian posed against that pile of rubble. While it was Kardashian’s first time posing for the photographer, Teller did something new too: handing over control of re-touching, something he’s never done prior to this moment.